Product #16432 | SKU BPU90 | 0.0 (no ratings yet) Thanks for your rating! 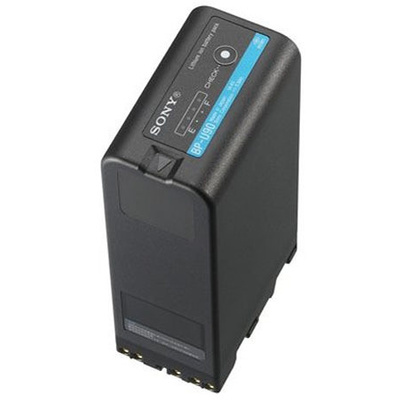 The Sony BP-U90 is a 14.4V, 85Wh lithium-ion battery for XDCAM EX camcorders. It features an INFO function that communicates battery status to the camcorder, which in turn displays the exact battery life on LCD and viewfinder. Even when the camcorder is powered off, the camcorder LCD will continue to display battery life, and the battery itself has LED displays that indicate remaining battery life at the push of a button.